Euonymus fortuneii Emerald Gaiety this variety is also a small evergreen shrub with a bushy dense habit. The silver edged leaves have a tinge of pink in winter. Tolerant of shaded sites. The Euonymus Silver (Euonymus Fortuneii Emerald Gaiety) is known for being a pretty evergreen hedge that is small in size, but has a dense, bushy nature to it. This particular Euonymus hedge has a beautiful, thin silver edging to its emerald green leaves, which helps bring a hint of colour to your garden during the colder months, turning to a slight pink colour during winter. It works great as a ground covering hedge, or one to set flower bed lower borders too. The Euonymus Silver prefers to reside in either full sunlight or partial shade, where it can thrive to its full potential, even climbing walls if planted against one. This hedge likes all soil including, clay, loam, sand and chalk, but doesn’t like bad draining soil. Water has to be able to drain away easily, but also keeping the soil moist. It can survive well in either sheltered or exposed sites within your garden or landscape. It will typically reach heights of half a metre to a metre high, but anywhere from one to one and a half metres wide. It can take anywhere between ten and twenty years to reach its ultimate height. 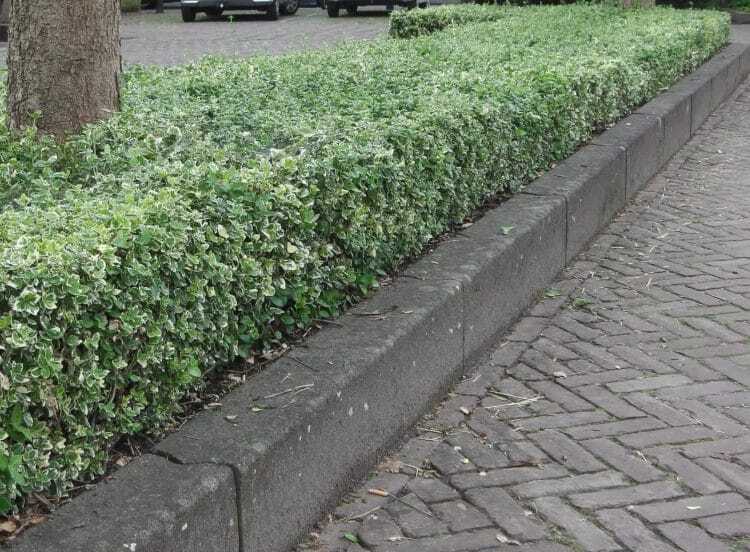 Once established, like most evergreen hedges, the Euonymus Silver is relatively easy to look after as they are low maintenance. It is recommended to prune this hedge in the spring, preferably during April and May, after the last of the frosts, so no damage can be done to this pretty little hedge. We have a range of Euonymus Silver plants available in pot form from one to five litres. For more information on this plant or any of our other hedging varieties, please contact our specialist team members who are on hand to answer any questions you may have.